Adam, what do you love about The Tenth Plague? This, my second novel, explores the idea of a killer using the biblical plagues of Egypt as a playbook for revenge. I had a lot of fun plotting and researching this one—and I think readers will be pleased. What unique thing did you learn during the writing and/or publishing process of this particular book? Tell us something about this particular book that we won’t find from your web site. 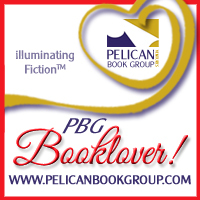 During one summer between years in high school, I worked at a library, a book lover’s paradise. Granted, a lot of the work involved stocking shelves, but being surrounded by so many fascinating books and interesting authors was pure heaven. I was born a die-hard book lover, and I’ll probably die one too. Travel the world and write, publish, write, publish, write, publish . . . you get the idea. I’m a book editor who publishes fiction on the side. My wife does the grocery shopping, and she gets her best deals at Super One. The word worship literally means “to bow down.” In the context of my faith, worship means bowing to God’s wishes for my life, regardless of what area it may be. Every breath should be breathed for God will and His glory. When you take all of the things that make you unique, how does that come out in your writing? I love suspense fiction and history, so a blending of the two always seems to come out in my writing. In high school, I won awards in calligraphy; Gillian Thayer, my female lead, is into calligraphy in a big way (it’s her job). I’ve always been intrigued with how one’s past impacts his or her present and future. This is a recurring theme in my novels because it’s part of who I am. Now that I think about it, what I write is inseparable to some degree from who I am. Introduce your book – plot summary and main characters, and what’s your favorite part of the story (if it doesn’t give anything away). My favorite part is when the firstborn son is revealed and the novel culminates in the tenth plague. This is the most suspenseful and action-packed part of the story, with several key characters in jeopardy. I had a blast writing it. Thank you, Lisa, for the opportunity to talk about my latest project. Adam is offering an electronic giveaway to a randomly chosen commenter....drop us a note and enter! Adam Blumer is the author of two suspense novels, Fatal Illusions (Kregel) and the upcoming novel, The Tenth Plague (Kirkdale Press). A print journalism major in college, he works full time from home as a freelance writer and editor after serving in editorial roles for more than twenty years. He lives in Michigan’s Upper Peninsula with his wife, Kim, and his daughters, Laura and Julia. 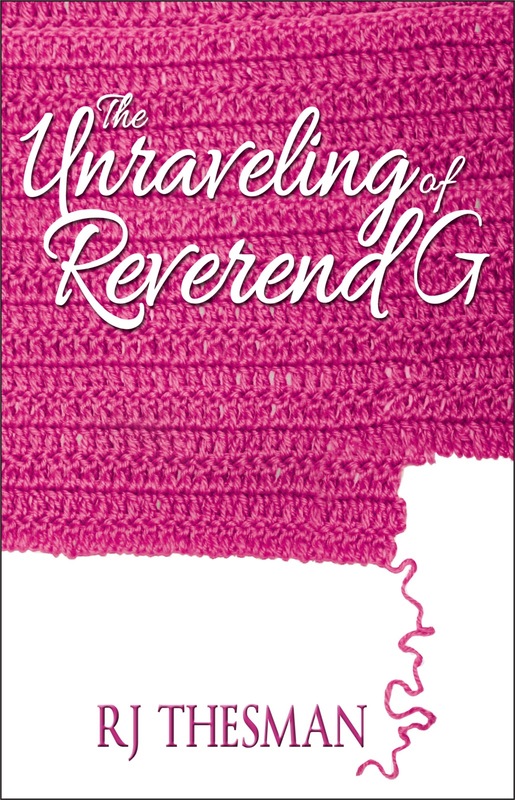 Reverend G (short for Gertrude) has always managed her difficult life with grace and courage and, until now, with all her memory intact. But the insidious and premature onset of Alzheimer’s has completely thrown this associate pastor into life-altering questions. Will her loved ones still love her? Will she turn “looney?” Will she lose the joy of God’s love? Or, even worse, forget about God? These are fears she lives with—and cannot stand. Bravely facing an uncertain future, the 62-year-old minister, with the support of her adult son and daughter-in-law, prepares to move into a facility where she cannot wander off. Is she now a prisoner? Is her life over? But God has surprising and unexpected answers for Reverend G as it seems her ministry is still very much alive. It has just changed. I don’t think it was by accident that I recently brought my e-reader to my own mother’s nursing home room. Very ill with the flu, my 98-year-old mom needed some extra TLC that day. In between offering my mom sips of soda and encouraging her to take her medicine, she slept peacefully while I read The Unraveling of Reverend G.
There was so much truth in this novel: The honest portrayals of family members, friends and caregivers dealing with dementia on a daily basis; the pain of watching loved ones as they slowly lose the building blocks of their memories; the brick & mortar of the patient’s thoughts slowly crumbling away. Where once a child’s hand was held by the parent, the mother or father now relies on the encouragement and guidance of the adult child. Author RJ Thesman paints it all through the eyes of a woman with dementia. It is brave, brilliant and beautiful. The loving appreciation of each phase in a person’s life is celebrated, whether the child in the womb or the child in the old and frail. This is a book that should be read by everyone, but especially by “the caregivers who so patiently watch over those who sometimes forget.” These are the tender warriors to whom this amazing story is dedicated. A must read. This is the first book in a three-part series. Looking forward to the sequels. RJ Thesman has been a writer since she flipped open her Red Chief tablet and scribbled her first story. Eventually, she had to stop writing and go to school where she earned an education degree and taught at many levels. Thesman is a biblical counselor and a Stephen Minister. She has worked in a variety of nonprofits and has served as campus minister to international students. With a variety of communication skills, Thesman is always writing and building more publishing credits. 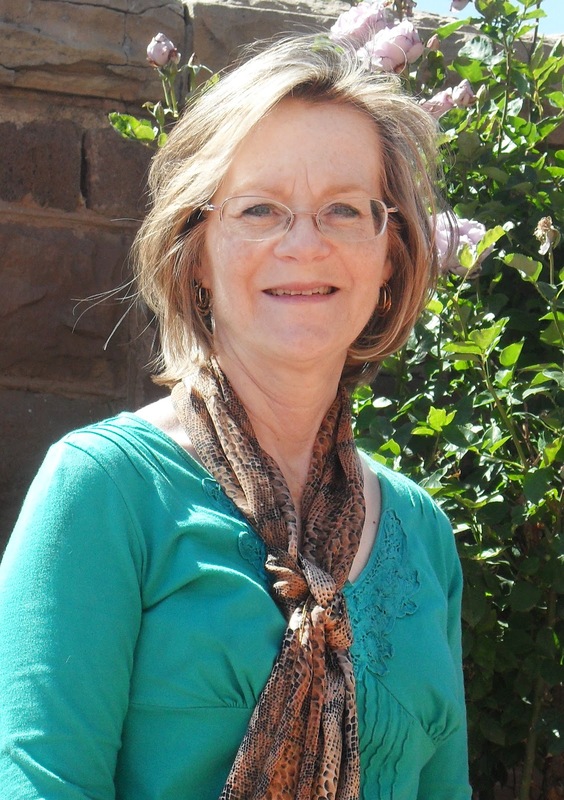 She teaches writing workshops and enjoys helping beginning writers birth their words. Thesman is the mother of an adult son, and enjoys reading, gardening and cooking - especially anything with blueberries. K. Dawn Byrd is an author of inspirational novels in several genres, including historical, suspense, romance, and young adult. Some of her favorite things are chocolate, cars, and her pets. Her hobbies include reading, writing, and riding down country roads in the passenger seat of her husband's Corvette Stingray. When asked why she writes, her response is, "For the simple joy of placing words on the page!" Tell us a little more about yourself , with three things not many people know about you. I thought it would be fun to explore what it would be like to have a guy and gal fall in love who are from very different backgrounds. She's a wealthy young woman who has always had everything she's ever wanted. He's a Hispanic bad boy from the wrong side of the tracks. Her friends and family don't approve, which adds tension to the story. I learned that I really do love writing romance, especially romance that contains suspense passages. God is with us and we need to learn to trust our hearts. The Hot Line Girl in June. Luck of the Draw in November. He placed his hand in the small of my back, steering me around a puddle of saltwater, and I shivered even though the night air was warm. I closed my eyes. I must be dreaming. I couldn't possibly be walking down the beach with Antony Marcos. I didn't want the moment to end, the night to end. Something deep inside of him communicated with something deep inside of me, leaving me with a feeling of safety and love that I hadn't felt in a long time. I savored the moment, taking in the moon, the stars, and the cool feel of the wet sand beneath my feet. A woman in a dark sweat suit jogged by, her German shepherd close at her side. A toddler squealed in delight somewhere close by, but as far as I was concerned, we were the only two people in the universe. I turned my attention back to the hunk beside me. I loved everything about Antony. I was falling fast and terrified of the damage he could do to my heart. He paused and looked out over the water. "I love it here. I'm just so at peace near the ocean." He pulled me into his arms, and a shiver of delight surged through me. Our eyes locked, and I wondered if he'd read my mind and somehow knew I'd give everything I owned for just one kiss. He paused as if uncertain. I was lost in the moment. I wasn't sure how to encourage him to kiss me without seeming easy. He didn't move, merely stood there, his body rigid against mine. When he finally moved, it wasn't as I'd planned. Antony's lips kissed my forehead and my cheeks, still denying me what I longed for, which was a kiss passionate enough to take my breath away. I threw caution to the wind. Reaching up, I ran my fingers through his hair and pulled his head down. Once our lips met, Antony quickly took the lead. I melted into him, our heartbeats blending as his lips whispered across mine in a dance as old as eternity. He pulled away first, leaving me breathless, but longing for more. Today my blog is part of something bigger than usual. 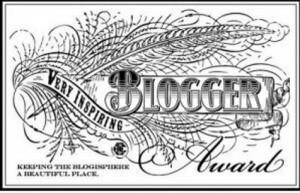 Last week Dana Arcuri invited me to be part of a blog hop called The Next Big Thing. It is an opportunity for me to bless other authors. ABOUT DANA ARCURI : Dana Arcuri is an ordinary wife, mother, and sister, but a daughter of an extraordinary Heavenly Father. She began her love of reading and writing at the age of eleven. What began as a fun hobby gradually turned into a faith-inspired passion. She writes for the heart-n- soul to provide inspiration, encouragement, and hope. Currently, she is completing her upcoming book, Harvest of Hope: Living Victoriously Through Adversity. Struggling with unfathomable trials, she shares her personal journey with depression, anxiety, ADHD, and Fibromyalgia. Despite ongoing adversity, she took one step at a time to successfully overcome each hurdle. Her captivating message is one of hope, healing, and rising above unrelenting hardships. When Dana is not busy writing, she is enjoying Starbucks, dark chocolate, and being a girly girl. What is awesome about this blog hop is the exciting adventure to learn about authors from various genres and styles. One may never know the possibilities in our future. His or her work might just be the next big thing, or perhaps mine, too. Whatever the case, we are living out our passion for writing and making a positive difference within our world. Part of this blog hop involves me answering ten questions about my book. 2. Where did you get the idea for your book? The basic idea came from stories around my community, with the downturn in the economy, luring new businesses, and a story I heard about tunnels running beneath a business block, used for hiding valuables. 4. Which actors would you choose to play your characters in a movie rendition? Hmmm- not much into this, but I see True as a sort of Ryan Gosling-tortured but mature-type, and Ivy as a fun, slightly kooky but head-on-straight Americanized Helena Bonham-Carter (sorry, Helena). 5. What is the one-sentence synopsis of your book? 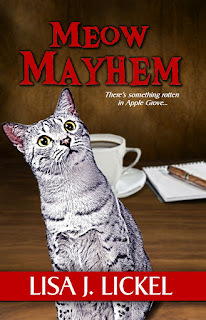 A small town mayor invites Ivy Preston and True Thompson to move their businesses to Apple Grove, can their love survive the sudden rise in crime? 6. Will your book be self-published or represented by an agency? 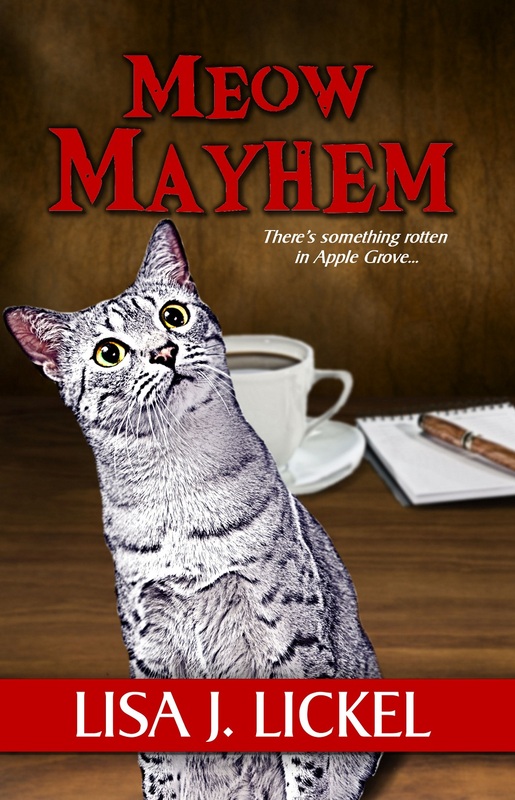 Meow Mayhem is being published by Whimsical Publications and scheduled for release January 28. 7. How long did it take you to write the first draft of your manuscript? I usually write pretty quickly, and this draft took place over about six weeks; however I rewrote a couple of times, and it took six years to find a publisher. 8. What other books would you compare this story to within your genre? It’s a little like the Cat Who mysteries by Liliian Jackson Braun. 9. Who or what inspired you to write this book? I was writing a series for the now defunct Heartsong Presents: Mysteries, and wanted to write a longer more developed series. I grew up with cats but can’t have them for pets now due to family allergy issues, so this is my way of keeping cats in my life. I wanted to write stories that had multiple layers and spoke to a wider audience while still being set in the Midwest and was clean and fun entertainment. 10. What else about your book might pique the reader’s interest? The cats that are the “stars” of this book are Egyptian Maus, the only naturally “spotted” domestic cats and have fun, unique characteristics. In fact, Ivy and True’s cats know their “hearts” and those of their human friends, and help True and Ivy speak their minds as well. Don’t forget, next week, please take the opportunity to hop on over to the blog listed below. Lorilyn: Because God is our heavenly Father, He can fill the void of earthly fathers. Seventh Dimension - the Door is a peek into the King's power to defeat that darkness and overcome rejection. It's a journey that parallels my own - a story of redemption and hope. Finally, a historical romance not set on the prairie. It’s 1880, New York City, but it’s still the aristocratic side of town – Park Avenue, balls, dinners, carriages, the El, and shopping. Glasses and padding under her corset help Eliza Sumner hide in plain sight. 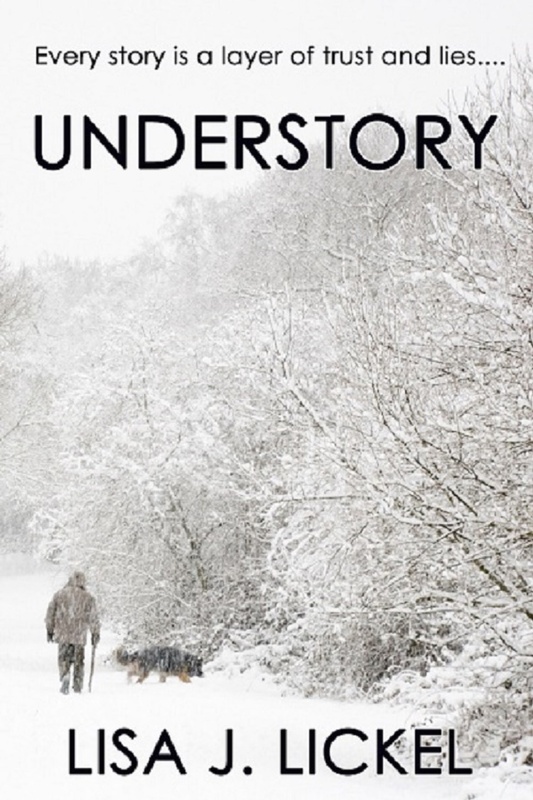 She’s come across the ocean from her home in England when her late father’s fortune is stolen and no one, not even her fiancé in London, will help her get it back. Eliza can’t pass as a peon for long, however, when she lands a job as a governess. Agatha, the eldest sister of her current charges, forces her to come clean, and the two of them embark on an adventure to recover Eliza’s inheritance and for Agatha, write an articles for the newspaper. They encounter the Beckett brothers along the way who have their own troubles with a man associated with Eliza’s thief, a charmingly chauvinistic investigator, and Hamilton Beckett’s scheming mother who may be the most dangerous of all. Precocious children, women’s rights, trousers, jail—they’re all here in this marvelous romp of a story to regain not only a woman’s stolen fortune, but lost faith in the goodness of people and God. Turano’s debut is a fast-paced adventure from beginning to end. While predictable, the fun is in the journey, and Turano doesn’t disappoint. 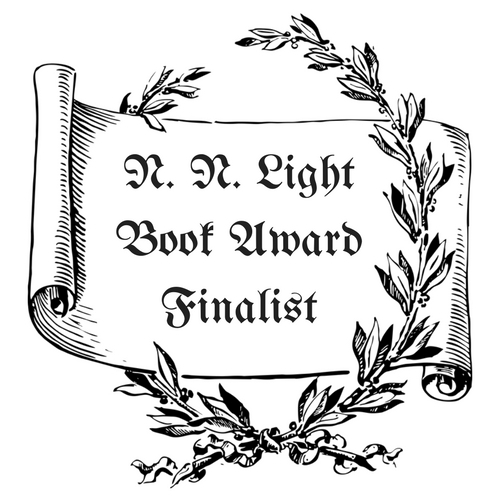 From the moment Eliza puts on glasses in a disastrous dinner, loses her skirt in a break-in attempt and goes to jail in a prostitute round-up, to meeting the Beckett children, I enjoyed the twists and turns of the characters. Mrs. Beckett is an absolute hoot. The others were personable, with enough background subtly strewn about that their current actions and inactions made sense. The story got a little out of control toward the end when surprising people appeared, but I imagine the author was creating a set-up for future related adventures, which I look forward to. Certainly Hamilton’s charming brother, Zayne, with his mysterious fiancé would make a delicious tale, as well as their suffragette sister who didn’t make an appearance but was much referred to. Mostly historically accurate if a bit rambunctious and occasionally over the top, emotionally satisfying, and thoroughly entertaining, A Change in Fortune is a sweet debut novel. From the publisher: Sara Brubaker was two years old when a German Baptist couple adopted her. She has become a beautiful woman, and works as a secretary for Alexander's. Now she's torn between wanting to live in the normal world of fun and fashion, or joining the Dunkards to truly belong with her adoptive family. Birdie Alexander thinks if she works at the family business hard enough and long enough she will gain her father's love. Can she learn a thing or two from the German Baptist secretary? Irene West is Birdie's lifelong Sunday school friend. Irene misses having a father figure around, and is very boy crazy, which causes Birdie to struggle with the friendship and Irene to struggle with life. Will Birdie overcome her self-righteous nature before it's too late—for Irene? Sharon Lavy’s debut novel is a trip back in time. I hate to admit it, but I knew all the Helen Reddy songs that Birdie sings. Dreaming of a Father’s Love is a many-layered story of finding love, or realizing that it’s been there all along, for Lavy’s characters. Growing up in the crazy early 1970s when women were beginning to assert themselves was tough enough in the general population, but when you belong to a fairly strict mainline faith, it’s even harder. Birdie wants to make choices about her future for herself, but it’s difficult with a father she feels is over-critical and harsh when he really wants the best for her. During the summer after high school graduation all the dreadful events that happen to her family and friends could have sunk her, if not for the deep-seated faith which was her foundation. Dealing with a love triangle, figuring out how to help or deal with her friends, both old and new, and her family help her realize her place in the community in which she lives and wants to stay. Lavy’s story is told in many and occasionally dizzying viewpoints, so readers will want to pay close attention to who belongs to whom. I enjoyed the snippets of life in that era, as well as getting to know a little more about the various faiths in their culture. It was sometimes hard to cheer for Birdie and her decade-older love interest, Dax who was searching for missing family, as their lives and romance seemed to move along pretty quickly from a standstill, but I adored the house and history behind (and inside) that Dax bought and restored. Hopefully future books from Story and Logic Media Group will take a bit more care with proofreading to avoid missing punctuation as I found, but didn’t mind too much, in the e-version supplied by the author. Readers who enjoy a trip down memory lane to the tumultuous seventies and a really special house restoration layered with a search for one’s identity, will find Dreaming of a Father’s Love a fascinating read. For Immediate Release: A new moving devotional hits the market. As the moving van drives off you have a knot in your stomach. You ask yourself, “Are we moving to a better place? Will my children like their new school? Will I ever make friends?” As someone who has moved over twenty-two times; this author understand the fears and excitements of relocating and has grown a passion to help families who need to change their zip code. Changing Zip Codes: Finding Community Wherever You’re Transplanted is a forty-day devotional full of wisdom and humor to encourage families and lift the spirits of those finding themselves moving to a new home and potentially a new lifestyle. Carol knows the stress of changing addresses as she has moved twenty-two times with a husband, four children and a dog. She is the mover’s cheerleader; her goal is to help women survive a move while keeping their families and humor intact. Written for those relocating, it is helpful for anyone facing big changes in their life. This book would make an excellent gift for military families, realtors, and churches who want to welcome newcomers into their community. 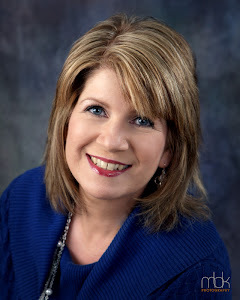 Carol is a freelance writer published in two anthologies (Writing so Heaven will be Different and Extraordinary Answers to Prayer (Guideposts), and has over sixty articles published in national publications such as InTouch and Your Church. She has also written for regional and local publications such as The Herald, Forsyth Women and Forsyth Family). She speaks to women’s groups such as MOPS (Mothers of Preschoolers) and has taught at national writing conferences. Her website is www.ChangingZipCodes.com or catch the book on Facebook/ Changing Zip Codes. This book is published by Lighthouse Publishing of the Carolinas and is available through Amazon.com, Barnes and Noble and Christian bookstores. A portion of the book's proceeds will go to Family Life to help military couples have a Weekend to Remember retreat. For more information on the book and speaking engagements, contact Carol at carolgstratton-at-gmail. 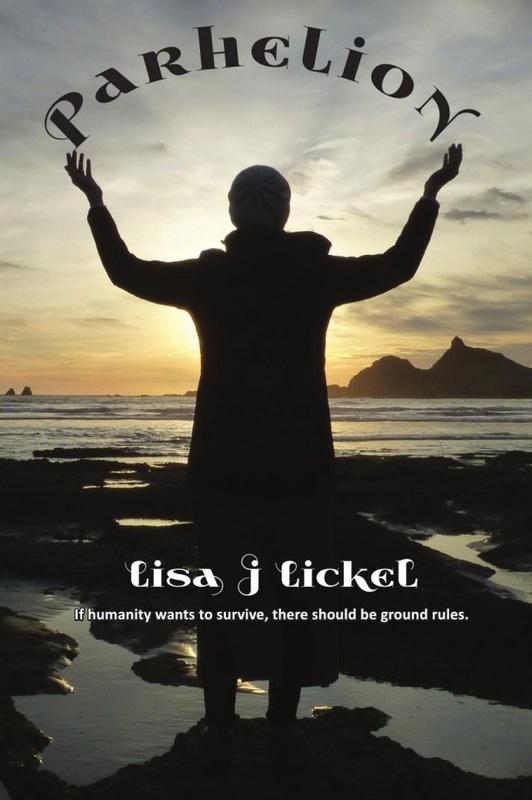 Teena Stewart is launching her book THE TREASURE SEEKER on Tuesday, Jan. 8. The Treasure Seeker is searching for you, His precious lost treasure. Learn your true value and how the Treasure Seeker wishes to refine and polish you into the gemstone you were meant to be. You can help Teena achieve ‘best seller’ status by purchasing the book at amazon.com TODAY – and receive all kinds of cool free gifts while you’re at it plus enter for a free necklace drawing! 2. Buy the book at amazon.com. 3. Go back to the Landing Page http://teenastewart.com/id119.html and fill in the form with your name, email and purchase number. It’s that easy! You’ll be directed to your free gifts and all you have to do is choose which ones you want. One of the toughest women's issues is that many women, even the most outwardly self-assured ones, wrestle with feelings of inadequacy and worthlessness. Though we want to believe we have value, messages bombard us daily, telling us if we don’t look a certain way, dress a certain way, drive a certain car, weigh a certain weight, or work in a certain type of career, we are worth very little. The Treasure Seeker, our Heavenly Father’s only Son, has a different opinion. He knows your true value and will stop at nothing to recover you, His cherished one. He longs for you to come into a close, loving relationship with Him so you can not only feel cherished but also cherish Him, the greatest treasure of all. Through practical truth this Christian Living book will draw you closer to the Treasure Seeker who takes on the role of Master Jeweler who: lovingly shapes, refines, polishes, and even incorporates your flaws, to transform you into a jewel of stunning beauty. He will help you find your remarkable true worth so that you become the dazzling gemstone you were created to be. When she isn't writing, she is creating artwork and jewelry treasures (often from discarded and found objects) or leading ministry for Java Journey, an innovative coffee shop ministry in Hickory, NC. Java's mission is provide hope and restoration to the hurting and broken by sharing Christ's story, showing His love and by empowering the restored to serve others. Teena is available to speak at your event. A bump in the night and eyes full of terror won’t let go of Moira Harrison. Was it her Pulitzer-prize nominated instincts, a bad memory, or guilty conscience that sent her to Phoenix, Inc, seeking justice. But for who? Phoenix, Inc., the PI firm recommended by her colleague at the newspaper doesn’t exactly fit Moira’s idea of the office of private investigators, even though she’s never visited one before. The receptionist’s outlandish taste of dress almost offsets the soothing décor. And then Moira meets Cal Burke. After hearing her crazy story of skidding in front of a woman and hitting her in the rain on a lonely road while Moira was reaching for her long-distance glasses, tincluding a man who said he’d help her but didn’t, and no evidence of anything but burned rubber, Cal Burke, ex-ATF agent and partner at Phoenix Inc., must be nuts to take her case. Pro-bono. Even the cops were hard-put to do anything but close the file. Moira’s credentials as an investigative reporter help Cal believe, and when the math doesn’t start to add up, the hunt is on for a Samaritan whose kindness could put Moira in the afterlife before anyone’s ready. Certainly not Cal, whose five-year mourning period for his late wife is melting away, and Moira, who’s been burned by romance one too many times in the past. Join this middle-thirties couple and their friends as they search for justice for a nameless victim. 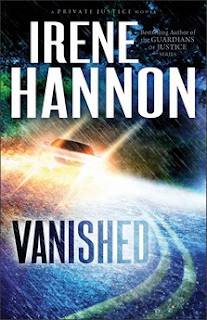 I’ve been an Irene Hannon fan for a while, and enjoyed this story. It’s fast-paced and extremely well-detailed without crossing into the boring. A few little glitches, like adding some extraneous character point of view scenes for a situation that simply didn’t need more explanation felt like filler, but weren’t fatal to the pace. I liked the characters and their inevitable conclusion. I liked the investigative techniques, which might also make the details fall into place a little too coincidentally; but overall, Vanished is a great addition to Hannon’s repertoire. The next books in the series I’m sure will prove to be just as entertaining.